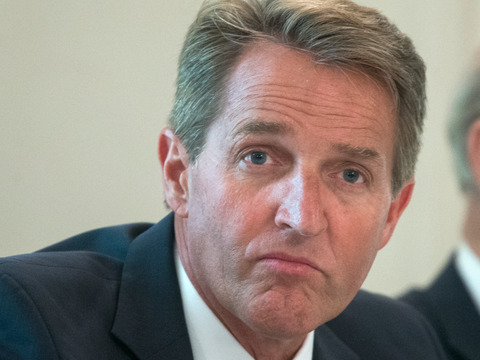 Sen. Jeff Flake on Tuesday announced he will serve out the remainder of his term but will not seek re-election in 2018. The bombshell, which Flake, R-Ariz., intended to detail Tuesday afternoon on the Senate floor, will further roil Republican hopes of keeping the party's 52-seat Senate majority in the midterm elections of Trump's first term, when the president's party historically loses seats in Congress. It also likely will upend the race for Flake's seat. Flake, one of the Senate's more prominent critics of President Donald Trump, has been struggling in the polls. He told The ArizonaRepublic ahead of his announcement that he has become convinced "there may not be a place for a Republican like me in the current Republican climate or the current Republican Party."